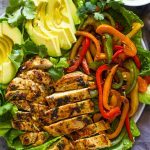 Chicken fajita salad loaded with bell peppers, avocado, grilled fajita chicken and coated in a cilantro lime dressing. 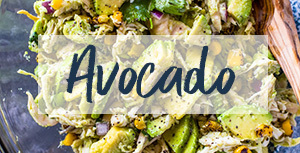 This healthy, filling and tasty salad is must try, and will keep you coming back for more! 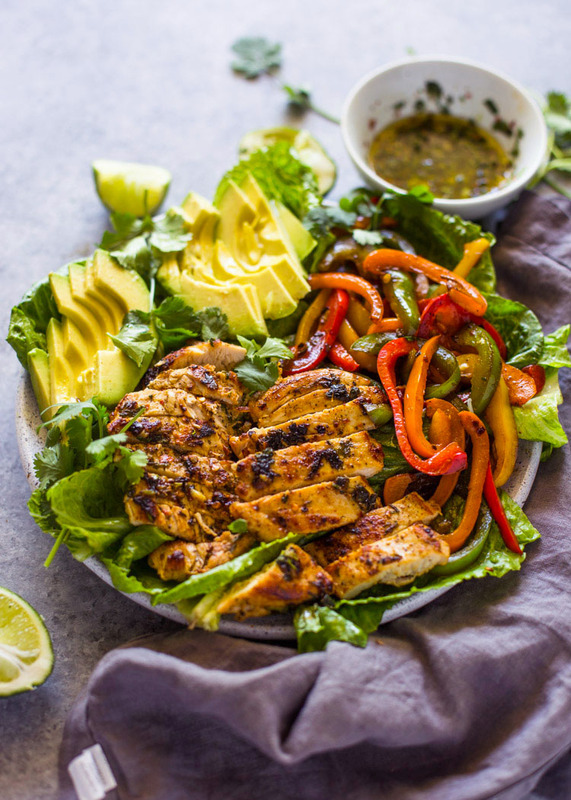 If you’re trying to eat healthy or lose weight this year then you need this delicious fajita chicken salad in your life ASAP. 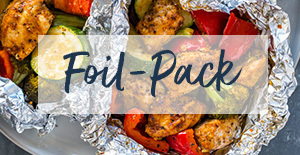 It’s packed with grilled spicy and zesty fajita spiced chicken breasts, avocado, fajita veggies and a skinny cilantro lime dressing that doubles as a marinade. The entire salad comes together in under 20 minutes and is all cooked one pan for easy clean-up! 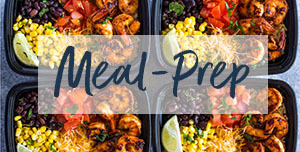 The recipe makes 2 filling salads that will keep you full for hours. Double or triple the recipes as needed to please a large group. Whisk all the ingredients for the dressing/marinade in a medium bowl. Pour half the mixture onto the chicken breasts and coat chicken breasts with the marinade well. 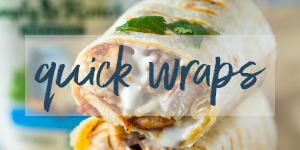 Cover and place in the fridge for 30-minutes or up to 24 hours or use immediately. 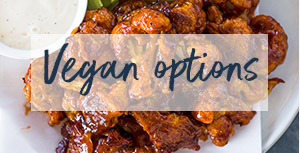 Reserve the rest of the marinade for later to be used as a dressing. 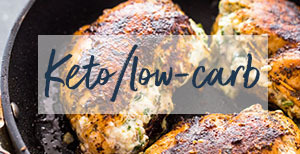 Heat a large heavy-duty pan or skillet to medium-high heat for 2 minutes. Add a teaspoon of oil to the pan and then add in the chicken breasts. Cook 4-5 minutes per side or until cooked through. 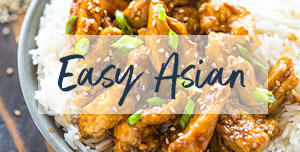 Remove from pan onto a cutting board and cool for 5 minutes then slice or chop into bite size pieces. Add the sliced bell peppers to the pan. cook on high for 1-2 minutes or until charred. Divide romaine lettuce into two salad bowl. 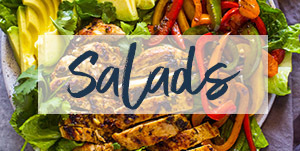 Top each salad with half the chicken, fajita veggies, and sliced avocado. Serve with reserved dressing and sour-cream if desired. Enjoy the salad warm! I just wanted to let you know this has become one of my favorite salads!! The dressing is perfect. I love making this to take to work for lunches. Thanks for sharing!